Since August 2014, Burnet Institute has been a partner in a multi-stakeholder response to the major tuberculosis (TB) epidemic in Western Province, Papua New Guinea (PNG). Daru Island is at the centre of this epidemic where there is transmission of drug-resistant TB (DR-TB). The rates of drug-resistant TB in Daru are among the highest documented globally. This outbreak is a major public health threat with enormous health, social and economic costs to people living in Western Province. There is limited funding and health systems capacity, nationally and provincially, to respond effectively to this issue. Major constraints in the health systems include a shortage of human resources with the relevant experience to respond to an epidemic of this magnitude and technical complexity. 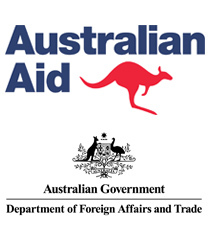 Reducing the Impact of Drug-Resistant Tuberculosis (RID-TB), is a project funded by the Australian Aid program via the Department of Foreign Affairs and Trade (DFAT). Through this project Burnet is responding as the technical lead in the design, monitoring and implementation of a comprehensive strategy to mitigate the TB epidemic and care for people affected. In doing so, Burnet is working in close partnership with the Western Provincial Health Office (PHO), Daru General Hospital (DGH), World Vision and the World Health Organization (WHO). The challenges of responding to DR-TB in Western Province require that partners work together to establish effective systems for patient-centred care, and to implement outbreak response measures to halt the epidemic. The uptake of new tools, interventions and strategies is crucial to accelerate the response. Time is of the essence in the response – delays in achieving an effective response will allow drug resistant TB to continue to spread; resulting in preventable suffering and death. Delays in getting on top of the outbreak will also increase the costs of bringing the epidemic under control in the future. Clinical support and capacity development for TB program staff.